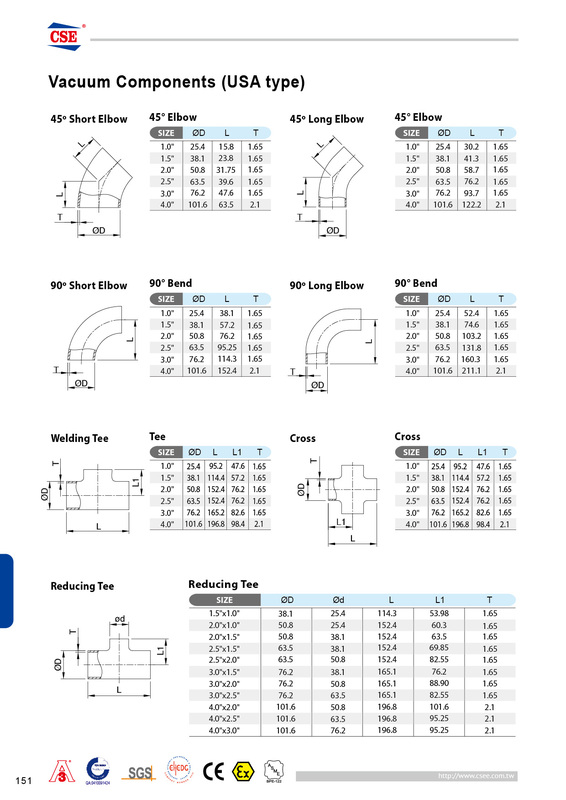 Vacuum Tube Components (P86 Vacuum Fitting) - CSE GROUP - CSE. Chiang Sung Enterprise Co., Ltd.
CSE develop semiconductor, vacuum pipe fittings and components step by step by means of good produced techniques experience of sanitary pipefittings and valves. 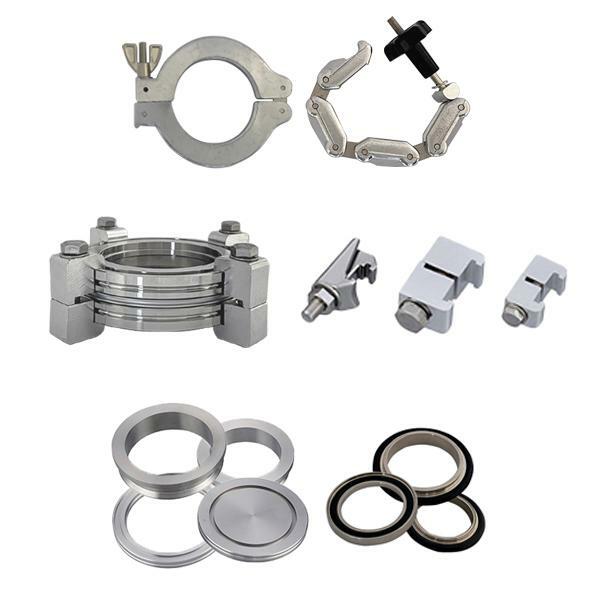 Our vacuum and semiconductor fittings including: Clamp-aluminum and stainless steel and claw clamp are available. Flange-KF, ISO specification, reducer-blank flange and all of elbow, tee, reducer. Ra It is necessary you specify at the time of order heat numbers and MTR's are required. Material Test Reports (MTR's) are available to document all heat number.